In many ways the life of George Chuvalo has been one unending and merciless endurance test. 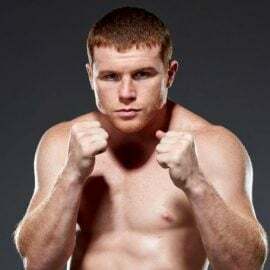 A barrel chested, bullet proof heavyweight with killer instinct and hitting power, he had all the attributes required to become a champion, but fate matched him against some of the finest glamour division combatants of all time. Floyd Patterson, Muhammad Ali, Joe Frazier and George Foreman were all active during Chuvalo’s tenure and that was only the former, reigning or future world champions that he had to contend with. It was as though someone had it in for the fierce Canadian warrior, but he would never dream of complaining. Chuvalo fought and recovered, fought and recovered, fought and recovered in a pattern he was forced to replicate when a horrific war of attrition with family bereavement brought this immensely proud man to his knees. 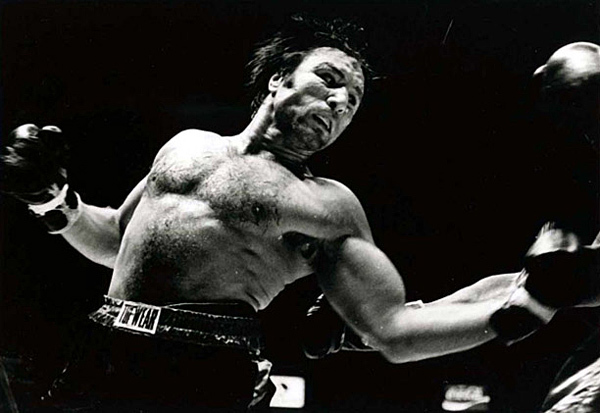 Yes life did to George Chuvalo what no man ever could – it floored him – but not for a 10 count. 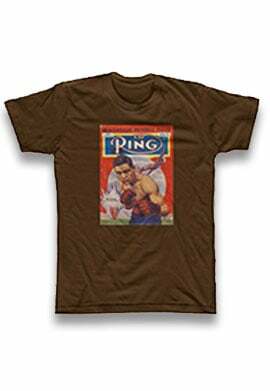 The final ring record was 73-18-2 (64 knockouts) and sure there were a few losses Chuvalo could have done without. Regardless of that “The Great Toronto Hard Rock” picked up a baseless reputation as a walking punch bag, who took shots for fun, when history tells another story about this incredible man’s achievements. 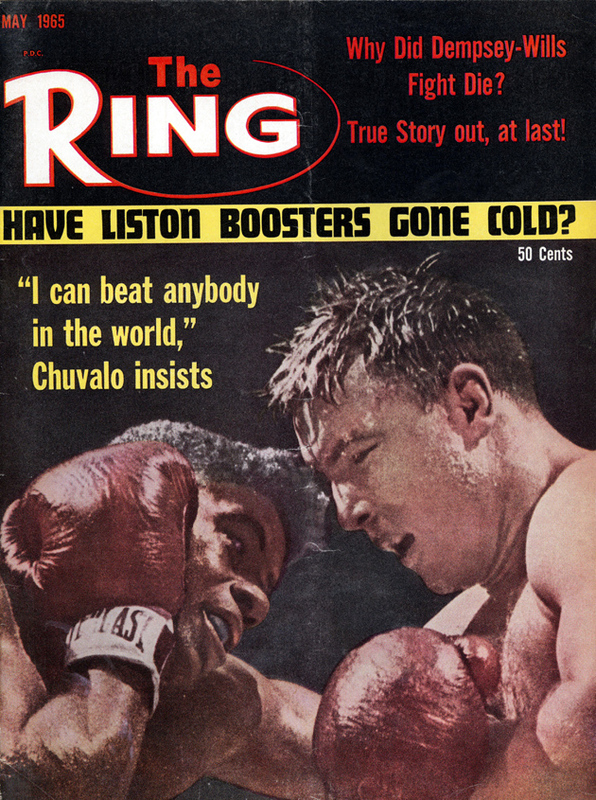 In 1965 Chuvalo and former two-time heavyweight champion Floyd Patterson slugged it out in a ferocious battle, which picked up THE RING magazine’s Fight of the Year award. Patterson, still fully operational, took a close unanimous decision in a bout many felt could have gone either way. The following year the Canadian slugger took on a prime Muhammad Ali at 17 days’ notice for the heavyweight championship of the world. Ali, a huge betting favorite, won comfortably on the scorecards, but sustained brutal punishment to the body, during his first completed 15-round contest. Chuvalo reminisced about his fighting days with detailed memory and the insurmountable pride which still resides within him during a recent Best I’ve Faced interview with RingTV.com. Best overall: Muhammad Ali in 1966. Although his quickness was outstanding he was able to absorb a great shot and he tricked you in the ring. You could hurt Ali and never know it. By his own admission I had him in trouble once or twice, but I didn’t take advantage. 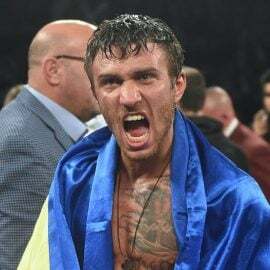 I only had 17 days notice for that fight, and if I’d had an extra month of preparation then that would have helped me a lot. When Ali and I met again, in 1972, he wasn’t the same fighter. There were a few sports writers who actually thought I won the rematch, but when I tell that story now people laugh. In the second fight his speed and skills had diminished slightly and he wasn’t as consistent with his work. Best boxer: Muhammad Ali in the first fight. I tried to apply pressure and take him to the ropes, because he was so dangerous at long range. The trick for me was to keep it close and I punished him heavily to the body throughout that fight. In fact prior to the rematch, at the Georgia Hotel in Vancouver, he asked my trainer if we were planning on going to his body again, so it was on his mind. After our first fight Ali was taken to St. Michael’s Hospital in Toronto with bleeding kidneys, whereas I went dancing with my wife. Best puncher: Mike DeJohn and George Foreman, although the referee helped Mike out more than once. I knocked DeJohn out cold at the end of the second round and the referee carried him back to the corner where it was decided, after a debate, that I gave Mike a hip check. In reality I’d hit him with half a dozen unanswered punches, but they penalized me and scored the round for DeJohn. It was a joke. In the sixth I got him down again and the referee picked him up a second time. Given the officiating I was lucky to get a majority decision, when I’d knocked him out twice. Still, when he was on his feet, he was a sharp puncher with a good uppercut. George Foreman was very heavy handed and there was a different feel to his shots. The best analogy would be Joe Frazier and Jerry Quarry hitting you was equivalent to being struck by a car at 100 mph, but when George landed it was like being hit by a mac truck at 50 mph. There was more weight in his punches. Still I was upset that the referee stopped that fight (in Round 3) because I was fine, and Foreman was getting tired. He was exhausted and I honestly believe I would have knocked him out, had I been allowed to continue. Look what happened to him in Zaire four years later. I actually met Ali in Ontario, just prior to him travelling to Africa, and he asked me what I thought about him fighting George. I told him that George throws punches out the window and wastes his energy. Ali said he had something in store for him, but I didn’t know what that meant until I watched the fight and saw the rope a dope. Best defense: Joe Frazier, believe it or not. He was very hard to hit and bobbing and weaving was natural to him. He’s recognized as a great fighter, but not many people compliment Joe on his defense. The uppercut was the only shot he was really susceptible to, as we seen against George Foreman. Joe was excellent at avoiding straight punches, which was the reason he gave Ali so much trouble in the first fight. He slipped the punches and closed the gap. Fastest hands: Muhammad Ali again. His jab was quicker than any punch I ever came across. Floyd Patterson is a close second, but Ali definitely edges him in terms of hand speed. Floyd and I fought THE RING magazine Fight of the Year in 1965, which was kind of cool at the time. 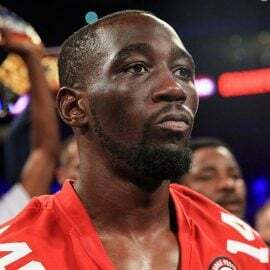 It was close and it could have gone either way, but Patterson was a New Yorker and we were fighting at Madison Square Garden. I wasn’t surprised that he got the decision. Fastest feet: Hector Eduardo Corletti in London. He ran around like he was on a motor cycle that night. I was actually laughing because he was jumping around all over the place and it was funny to watch. The irony is he ran like hell against me, but traded punches with Jerry Quarry and Al “Blue” Lewis and got himself knocked out. They gave Corletti the decision, against me, despite the fact that I bust his cheek bone and shook him up pretty good. The other thing is in England they didn’t encourage in-fighting, almost to the point where they don’t allow it, and that prevented me from producing my best work. I wish I could get myself a copy of that fight, because I haven’t seen it since 1966. Best chin: Muhammad Ali. According to his trainer, Angelo Dundee, I had him out in Round 5 of the rematch, but he bluffed his way out of it and waved me in. I clipped him with a left hook to the point of the chin and, although it wasn’t hard, it was perfectly placed. He did exactly the same thing with Ernie Shavers a few years later. Still, over the twenty seven rounds we fought his chin was definitely the most reliable. Best jab: Muhammad Ali. He had the best jab, but this area shows the difference between fights one and two. In the rematch I was able to use my jab against him and I had real success with it. Dundee said he was surprised I stopped throwing it in the second half of the fight, because I was matching Ali at times. The jab is important and it sets up all your other shots, but I didn’t use mine as much as Muhammad used his. Watch the rematch again and you’ll see I was successful with mine early. Strongest: George Foreman, but we didn’t find out if he could have maintained that strength. Honest to God I think I had him. George was winded at the end, breathing very heavily and my ability to take a good whack was never questioned, whereas Foreman’s stamina was. Later Ali exploited George’s weakness in a spectacular con job but, in terms of intelligence, ‘The Rumble in the Jungle’ was the best fight I ever saw. Smartest: Muhammad Ali was the smartest. Whenever he was hurt he faked his way out of it and that came with experience. 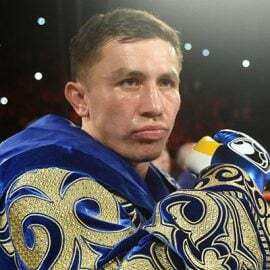 Despite all of his attributes as a fighter he survived so many rough moments by being a great bluffer. He was tough to hit, and when you eventually did get to him he outsmarted you and that might have been your only chance. He had so many tricks up his sleeve. So, in terms of opposition faced, Chuvalo’s resume is stellar, but the former world title challenger was keen to address a few of the names missing from his 93 fight ledger. He fought Ali, Frazier and Foreman, but one great heavyweight eluded him. “As I was leaving boxing Kenny Norton was coming in,” said Chuvalo, of the late former champion. 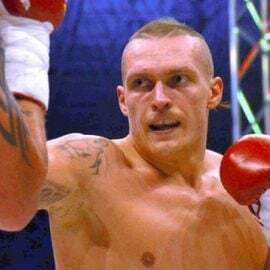 “There was never any talk of that fight happening, but he was a tough guy with an awkward style and decent punching power. 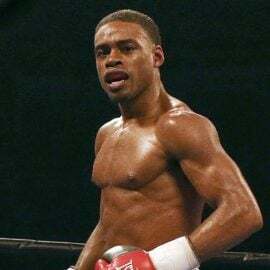 “Kenny liked to stay at range, with his left hand down, so it would have been important for me to make that an inside fight. His chin was never a greatest asset, so I think I would have been okay with Kenny, but you never know, anything can happen in a fight. “Henry Cooper would never take me on, when he was British and Empire Champion. In his biography he referred to me as a handful and the British Boxing Board of Control always protected him. Chuvalo continued, “I would have fought anybody. The only guy I really missed was Sonny Liston, because when I signed to fight him (in December 1970) he’d been dead for a week. He passed away after I’d sent a telegram to the promoter, agreeing terms to the fight at the Montreal Forum. During a 22-year professional boxing career George Chuvalo was battletested to the maximum, but far worse punishment awaited the Toronto native when he finally retired from the sport in 1978. The story reads like your worst nightmare. “I lost my wife (to suicide), three sons (one to suicide and two to drugs) and I lost my granddaughter last year,” said Chuvalo, who has been through hell on earth. “My granddaughter passed away from cancer. She was a beautiful girl, a school teacher, who spoke three languages. Many men would have given up in the face of such wretched heartache and grief, but that’s not the way George Chuvalo is made. Not inside the ring and not outside of it. He may not have reached the very top of his chosen profession, but if life is about overcoming and moving forward then he has championed that journey as well as any man ever could.